We are getting some fabulous bell peppers and cherry tomatoes from the garden right now… I could not think of a better use for these beauties than kabobs! You can really put almost anything on kabobs! These have vidalia onions, tomatoes, bell peppers, and steak. You could definitely use mushrooms, shrimp or chicken. 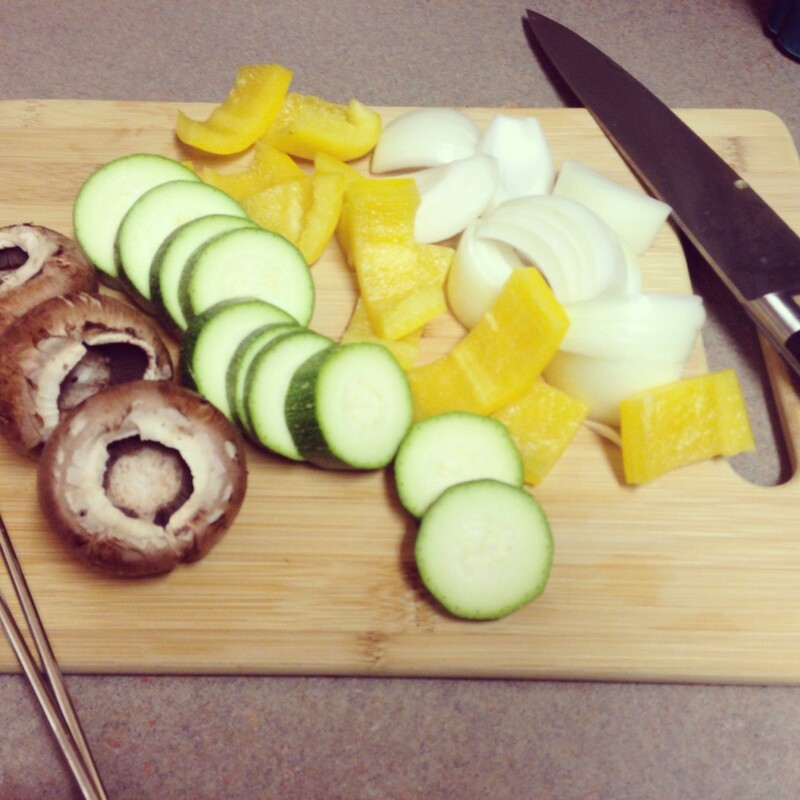 Zucchini and yellow squash are also perfect kabob vegetables which I use all the time. 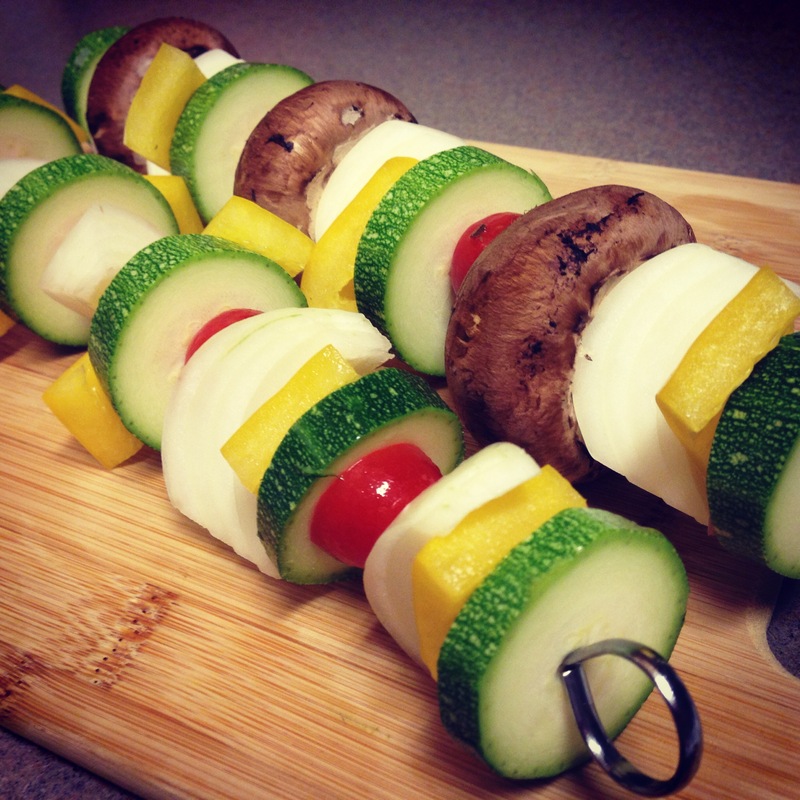 See the pictures below of all vegetable kabobs that make a great side with steaks or burgers. Throw on some peaches and pineapple if you are feeling adventurous. Steak and chicken should be marinated in advance. But the main point is… Have fun and use what is in your garden or your fridge. Sirloin or tenderloin tips are usually cheaper and are already chopped for you. But if you cannot find them at your grocery store, use whatever steak cuts you prefer. See the pictures below for inspiration but use your favorite vegetables or whatever catches your eye at the farmer’s market. 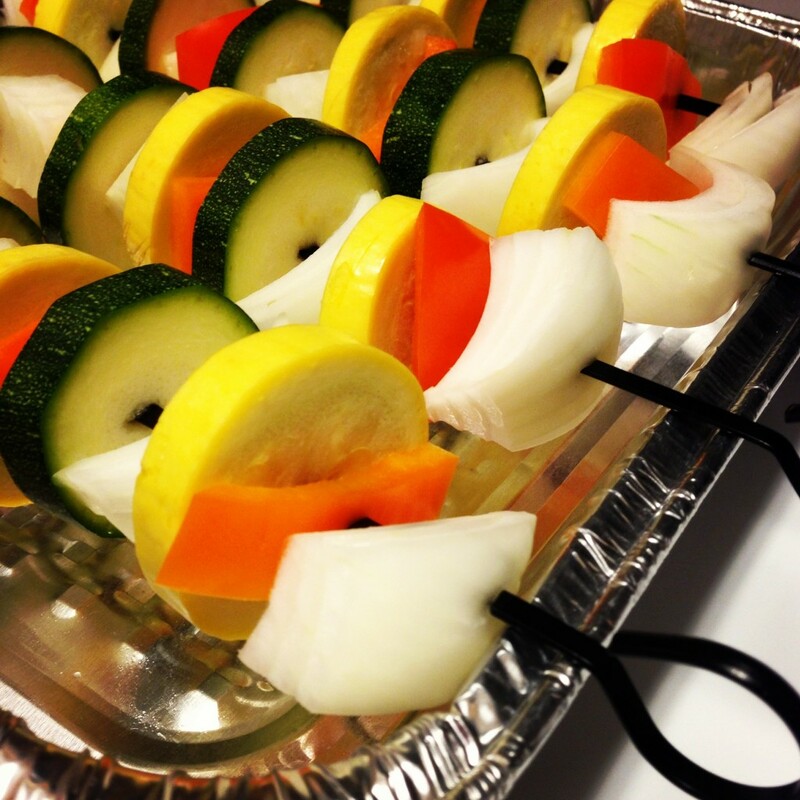 Use a vidalia onion dressing or balsamic vinaigrette glaze to add some zing to the vegetable kabobs. 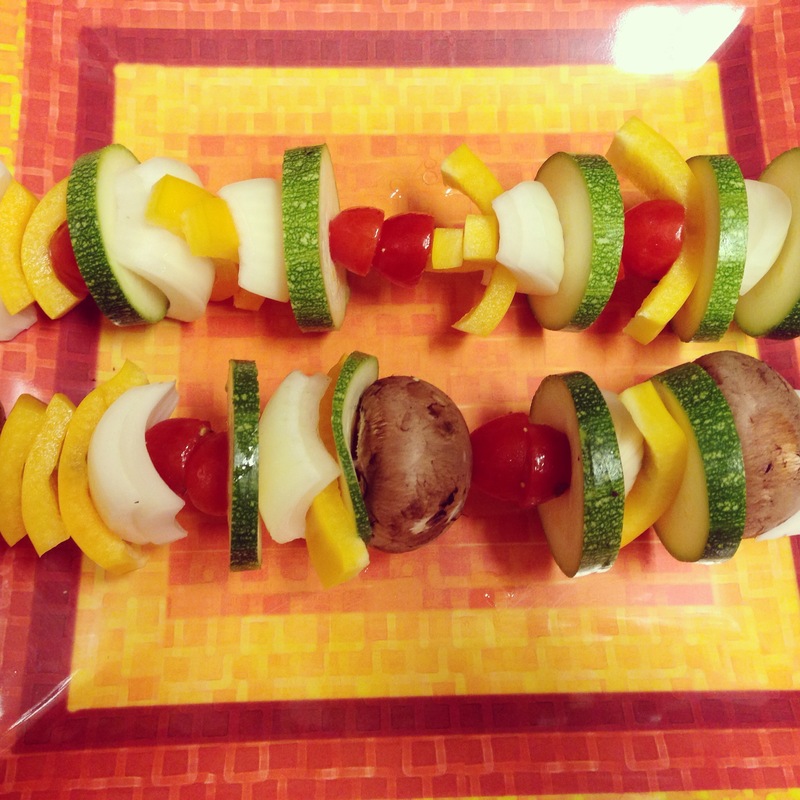 The brightly colored and super fresh summer vegetables are the highlight in these kabobs. So serve them with a complimentary Sauvignon Blanc. Starborough makes a super reasonably price Sauvignon Blanc from New Zealand. The wine has crisp and refreshing citrus notes with hints of tropical fruit. 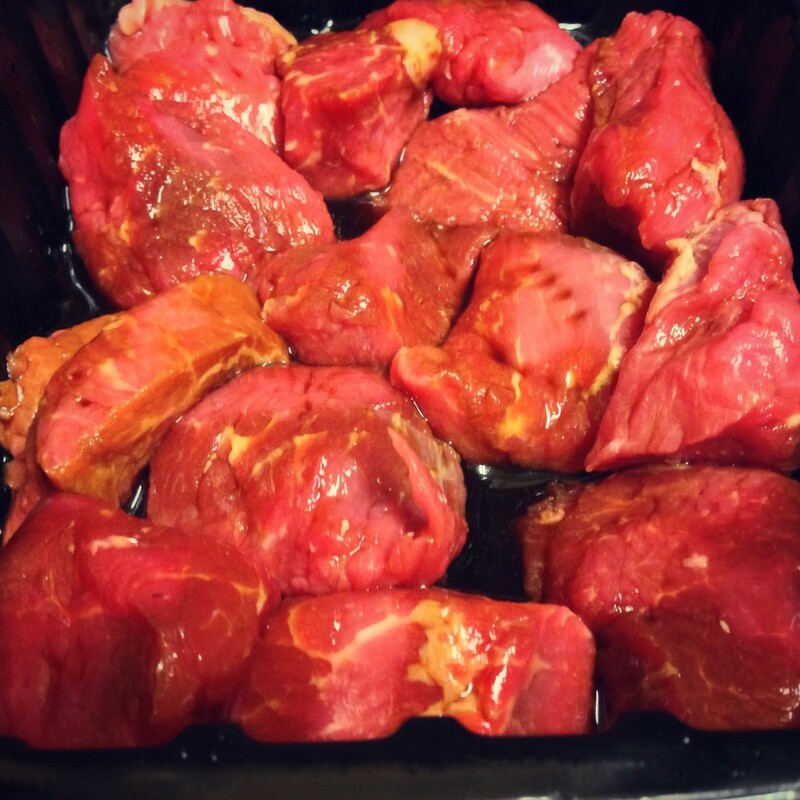 Place the steak pieces in a container with 1/2 cup balsamic vinaigrette, cover and refrigerate for 2 hours. If using bamboo skewers, soak in water for 30 minutes prior to preparing kabobs. 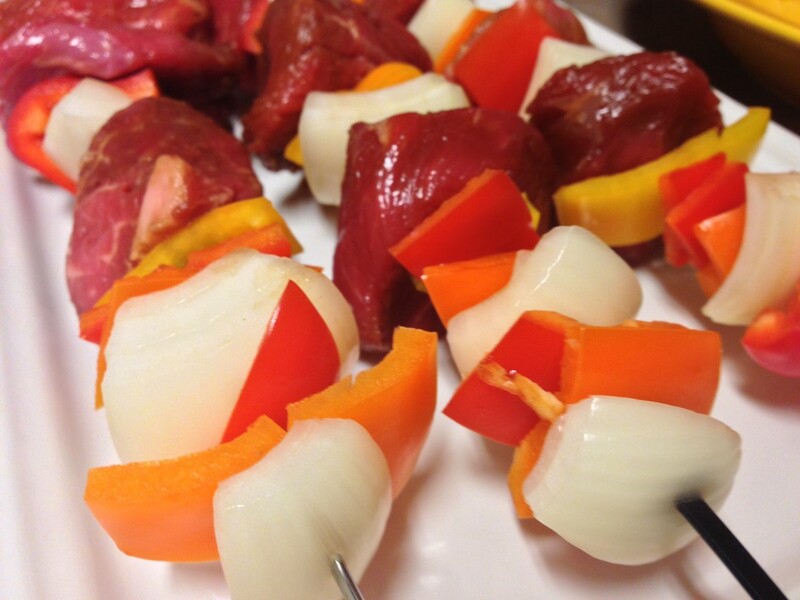 Assemble the kabobs by alternating onions, bell peppers, tomatoes, squash and steak. Drizzle with remaining balsamic vinaigrette. Sprinkle generously with salt and pepper. Prepare a medium heat fire in a charcoal or gas grill. The charcoal is ready when it is covered with ash and no longer burning duper hot. 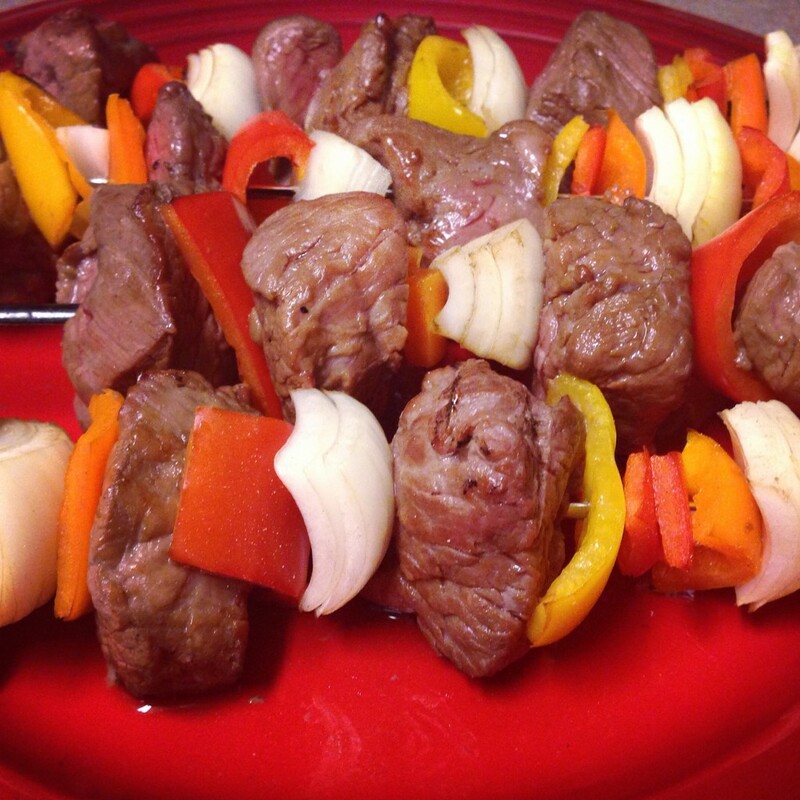 Cook the kabobs for 4 minutes, turn and cook for another 4-6 minutes. The steaks should be 125 degrees for medium rare.